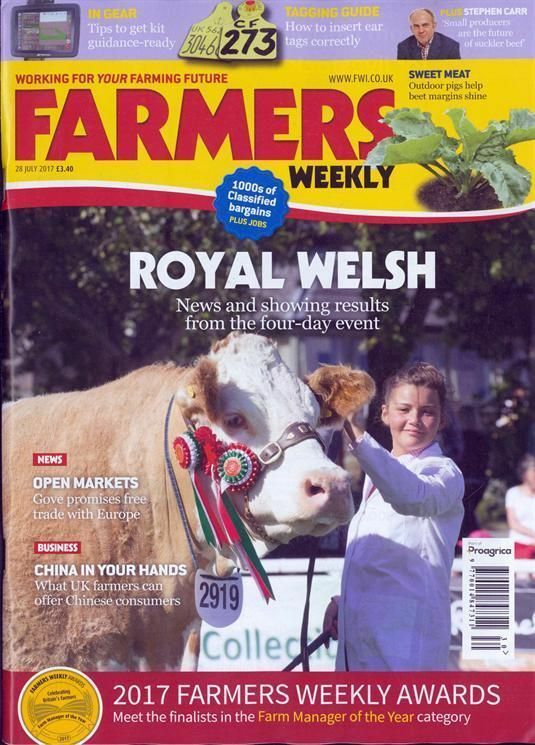 Subscribe to Farmers Weekly magazine today, the weekly glossy thats full of all there is to know about farming and agriculture. Packed with news, views and technical information from the Farmers Weekly team and independent experts, every issue is designed to help you manage your business more effectively. With a weekly digest of facts and figures about British, European and world agriculture, a Livestock, Arable and Machinery section reporting on the latest technical developments, a land section that reviews farm sales and analyses factors effecting price, market analysis, legal advice and a selection of ads for anything from sheep dogs to second hand tractors, milking equipment to mobile mixers, if you need to know it, its in Farmers Weekly.